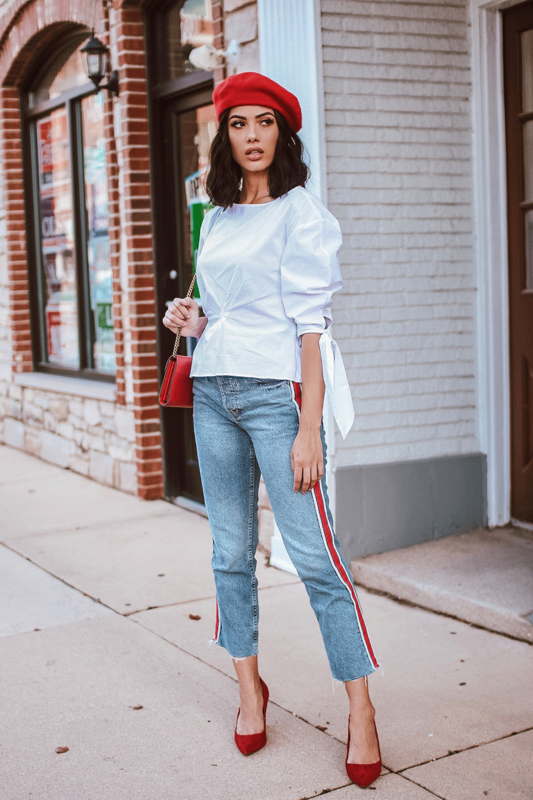 The title for this outfit of the day is Basic White Shirt with Jeans, but truly this outfit is anything but basic. So let’s talk about this basic white shirt- did you notice the sleeves? Yes! They tie and they are so cute! There is a little gather at the front to pull it in some and give it shape. You’ll find this shirt at Zara. Also from Zara are these jeans! These jeans though! 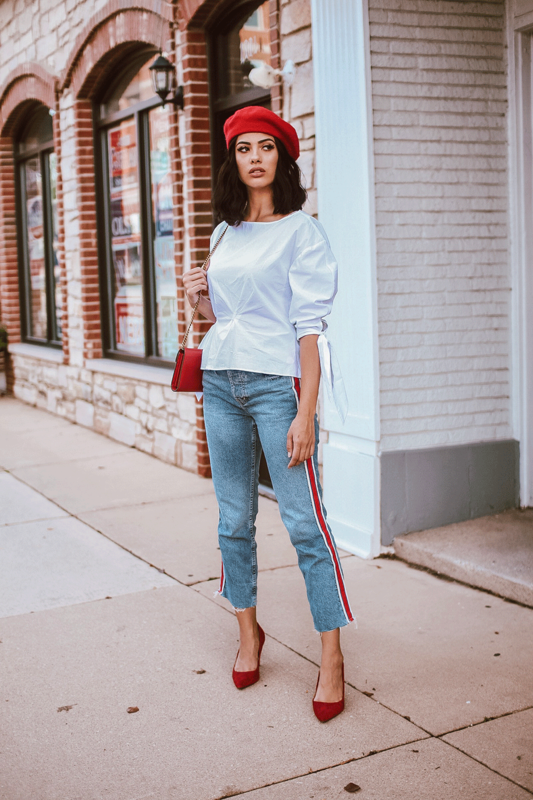 The red, white, and blue stripe on these jeans created the perfect opportunity to pull colors into accessories. 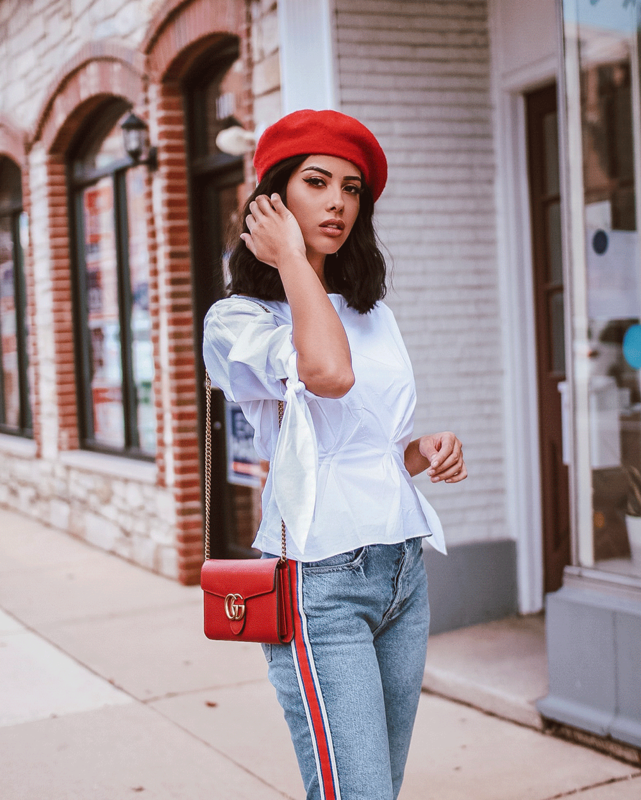 I chose to pull red, by wearing a red beret, red Santa Lolla heels, and a red Gucci bag.